Lucy Williams may be known for her fashion prowess via her website Fashion Me Now, Missoma jewellery collection and incredible IG feed that’s helped her amass over 383,000 followers, but we’re also completely and utterly beguiled by her seemingly effortless beauty looks. Which is exactly why we’ve asked Lucy to—over the next three months—share her beauty secrets with Byrdie UK. With the festive season upon, we thought party makeup would be the perfect place to start. When I was younger, I was big into spending hours doing my makeup before parties and was really into smudgy kohl-rimmed eyes or a massively winged liner. The older I’ve got, the less time I spend on my evening makeup. Instead, I prefer it to just be an extension of my everyday makeup with a few key additions depending on my mood and what I’m wearing. I never like to look too “done,” so, day or night, I like to keep things low-key and look fresh without being overly powdered or standout. The main thing I always like to start with is getting my skin to look as flawless as possible. I’m kind of obsessive with my skin, so this starts with skincare for me. If I have a big event I want to get ready for, I'll normally start with a good mask in the bath. 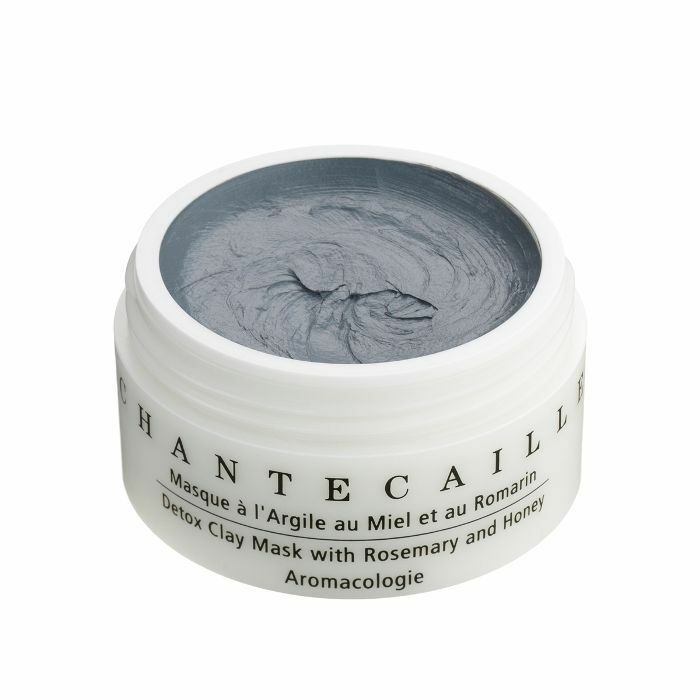 I love Chantecaille Detox Clay Mask (£75) if my skin is feeling congested, or something like the Skinceuticals Phyto Corrective Mask (£53) for a boost of radiance if I’m feeling a little dull after a long day. I also love a simple mask of plain, full-fat natural yoghurt that you put on until it goes hard and dries and then rub off with some good facial oil. I got taught this by a facialist in London, and, honestly, your skin will never have been softer or felt clearer! I also love the KNC All Natural Retinol Infused Eye Mask (£33) and All Natural Collagen Infused Lip Mask (£33). I think they really work, but let’s be honest: They’re really fun to use and kind of put me in the mood to go out at the same time. I then use a cold jade roller fresh from the fridge or an ice cube in a muslin cloth all over my face—it really gives you rosy cheeks and a glow no highlighter can match. I love this little trick, especially when you’ve got lots of nighttime events in the same week and are beginning to feel tired both inside and out. 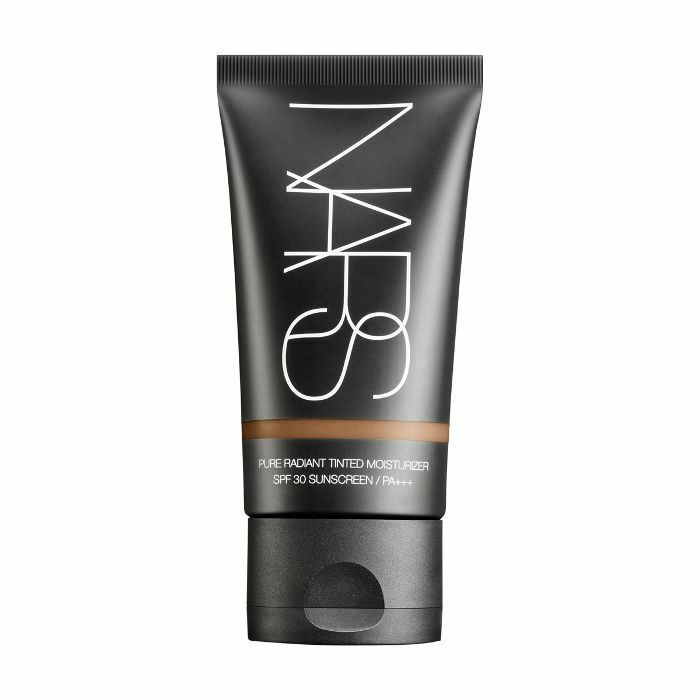 For a base, I’m eternally loyal to Nars Pure Radiant Tinted Moisturiser (£30) and its various concealers for covering spots (the Soft Matte Concealer, £24, is a lifesaver) and dotting in the corner of my eyes to cover any dark circles. The new Nars Smudgeproof Eye Shadow Base (£20) is great too. 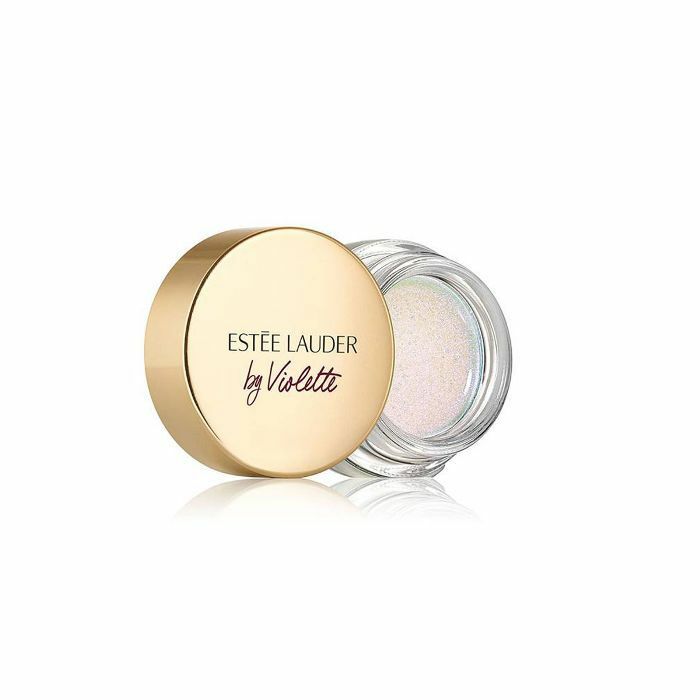 I always get really shiny eyelids with big creases, so this is great on its own or as a base for shadow. 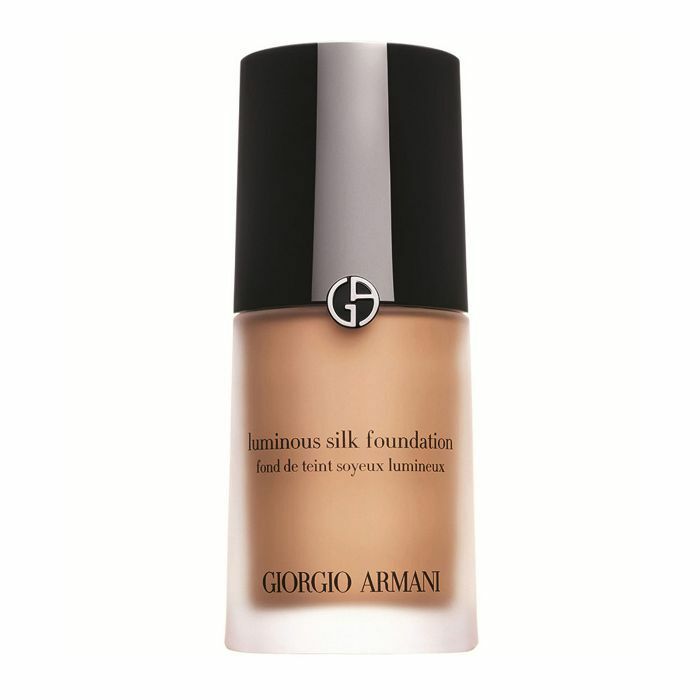 If I want a little more coverage (I think Armani foundations are amazing), l use the Giorgio Armani Luminous Silk Foundation (£42) if I really wanted my makeup to stay put for a long time. I really like Glossier Haloscope (£18) to highlight my cheekbones and under brows to add really nice subtle glow before blusher or bronzer. I use my fingers a lot to blend and apply makeup as| feel like it just makes everything look more natural and lived it. I’m a big blush fan, as I can often look kind of sallow (I put it down to having been jaundice as a baby! ), so I rely heavily on the likes of Glossier Cloud Paint in Dusk (£15) or Nars Multiple (£29) to add some warmth to the apples of my cheeks. Nars’s collaboration with Charlotte Gainsbourg had an amazing multiple called Alice that I’m obsessed with and use all over my face (quite literally). It’s so good on the bridge of your nose to make you look just the right amount of sun-kissed. I’m forever begging them to make it permanent because it’s so good. I like a good strong brow (always), but I definitely think you can be a bit bolder in the evening. 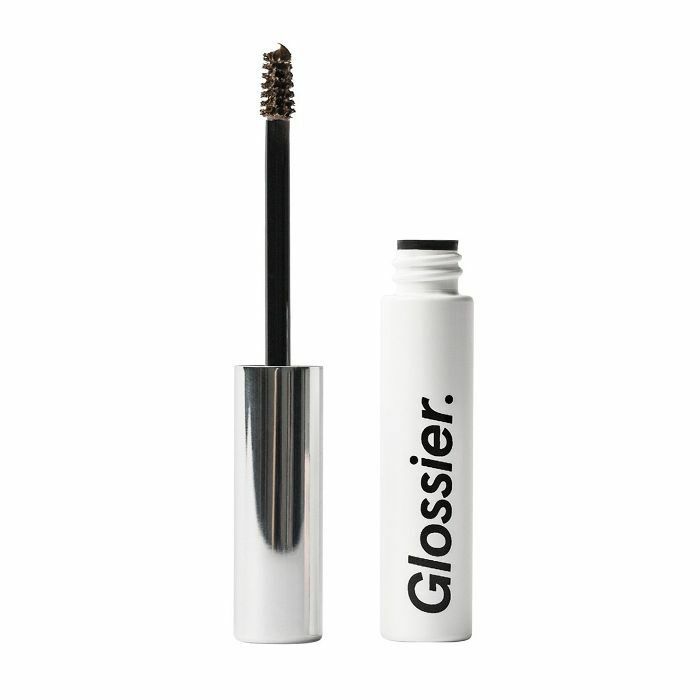 Glossier Boy Brow in Brown (£14) is super easy and, for me, gives the perfect amount of colour. Anastasia Beverly Hills Brow Pomade is great too. First, I brush them upwards and then just fill in any gaps while making sure there are so hard edges so, again, nothing looks too defined. In terms of the little-elevated additions for evening looks, I go down several different routes, and they all just take just one extra product. 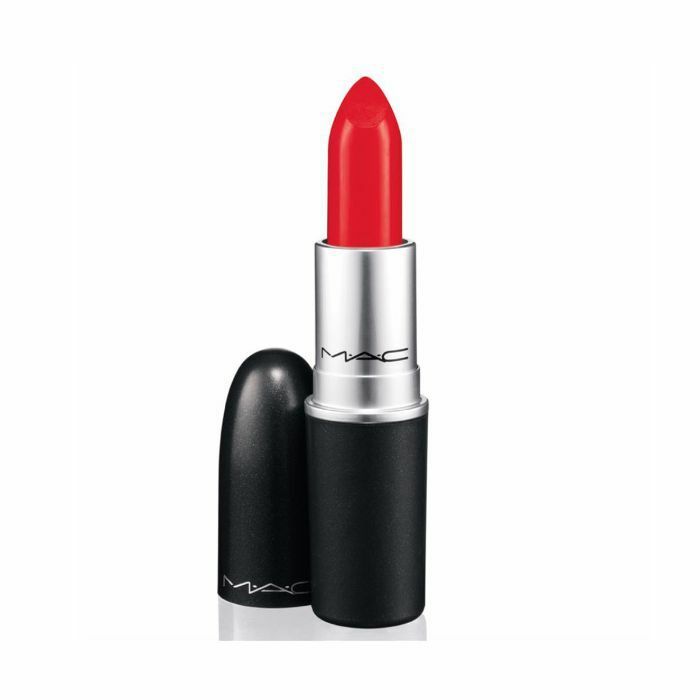 MAC Lipstick in Lady Danger (£18) has been my go-to matte red for over a decade and I love it. It’s got an orangey undertone, which makes it modern rather than old Hollywood starlet and is really flattering for blondes. With that, I keep everything else super simple—brows not too “done” and mascara either non-existent or just one little coat. 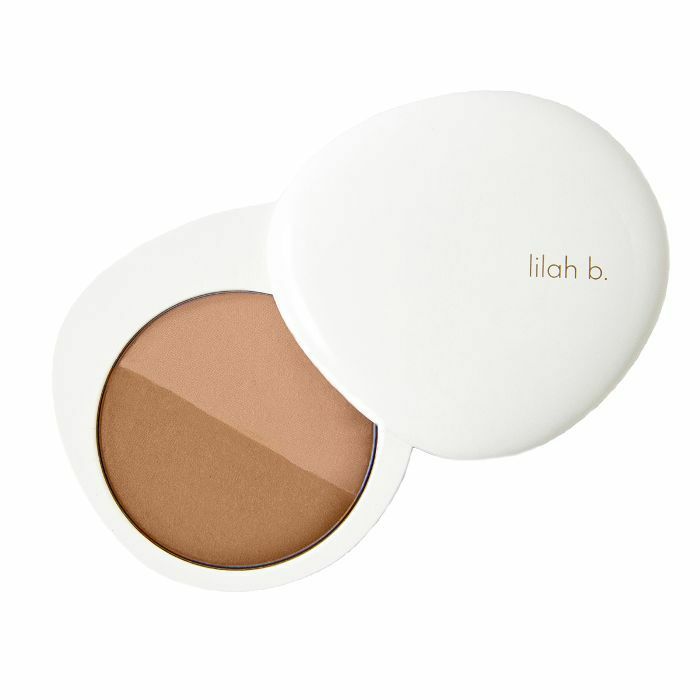 I always use a bit of bronzer (Nars Laguna, £30, or Lilah B Bronzing Powder, £35), as red lips can always wash me out a little, especially in the winter. I love red lips with a white T-shirt, jeans and big earrings, as it makes anything look 10 times more pulled-together than it actually is. If I don’t go down the red-lip route, I love a slick of great eye gloss. 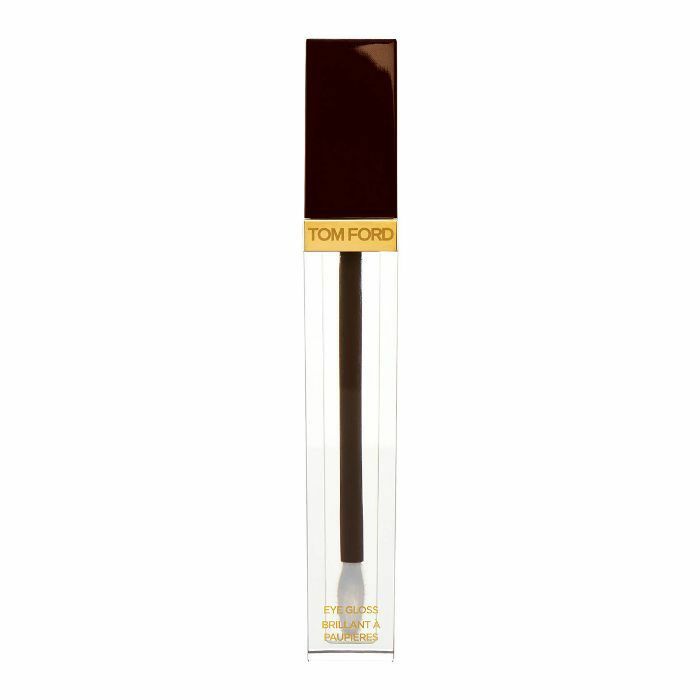 The Tom Ford Eye Gloss (£32) on bare eyelids is amazing, as is the new Estée Lauder Eye Gloss by Violette (£24) that has a bit of sparkle running through it. I love taking it all the way up to my brow and keeping everything else really simple. I’d wear this with a lip that looks just a little bitten, like a dab of Glossier Generation G in Zip (£14) or a smudge of Nars’s Multiple in Alice. Lastly, I’ll occasionally put my teenage smoky-eye skills to practice and use a mix of bronze and golden powders and crayons for a really soft, subtle golden eye. 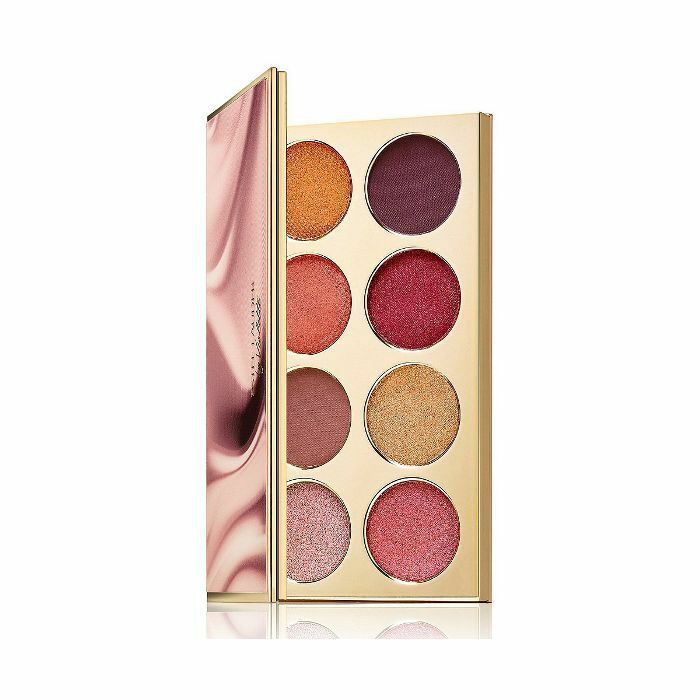 Currently, the Estée Lauder La Dangereuse Eye Shadow Palette by Violette (£42) and the Pure Colour Envy Eye Shadow Paint in Wicked Peach (£22) are my go-tos for doing this soft, bronze-eye look. 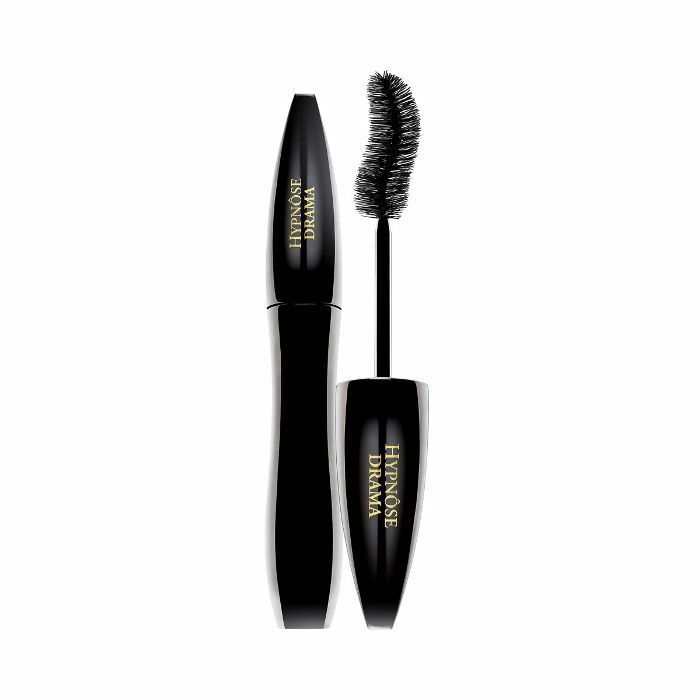 I keep the shadow really close to my lash line and use a fine angled brush with little water to get the even more payoff from the shadows. I finish this off with a lot of mascara. 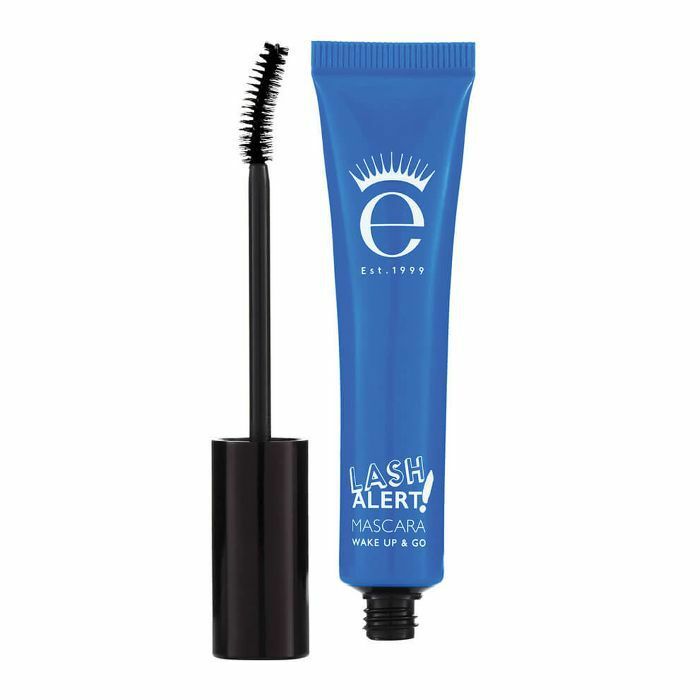 My favourite mascaras are all by Eyeko, as they’re one of the few that don’t smudge or crumble under my eyes, however, Lancôme Eyes Hypnôse Drama (£25) is the ultimate when I want mega lashes that are both thick and long. You can follow Lucy Williams on Instagram @lucywilliams02. Next up, these Influencer-approved beauty products are total must-buys.